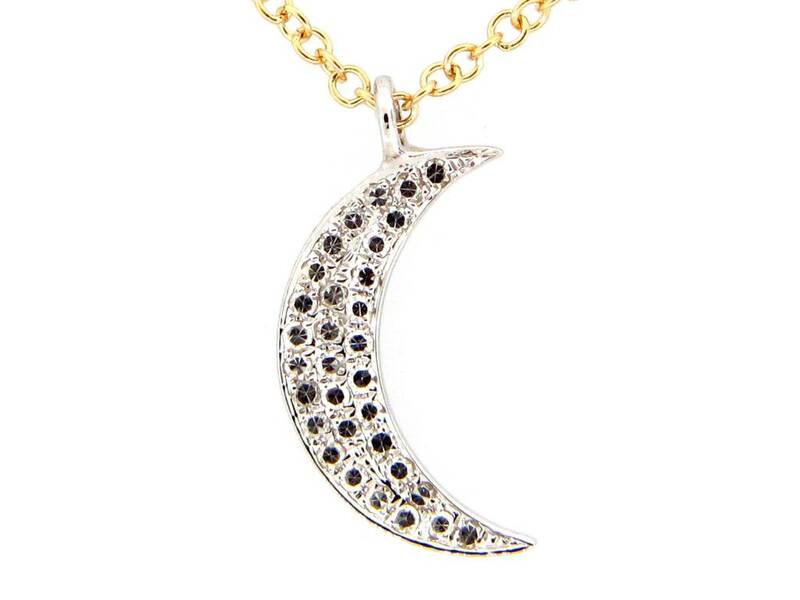 Ladies half moon diamond pendant of classic contemporary styling. The pendant is crafted in 14k white gold and is suspended on a 14k white gold, rolo link necklace. 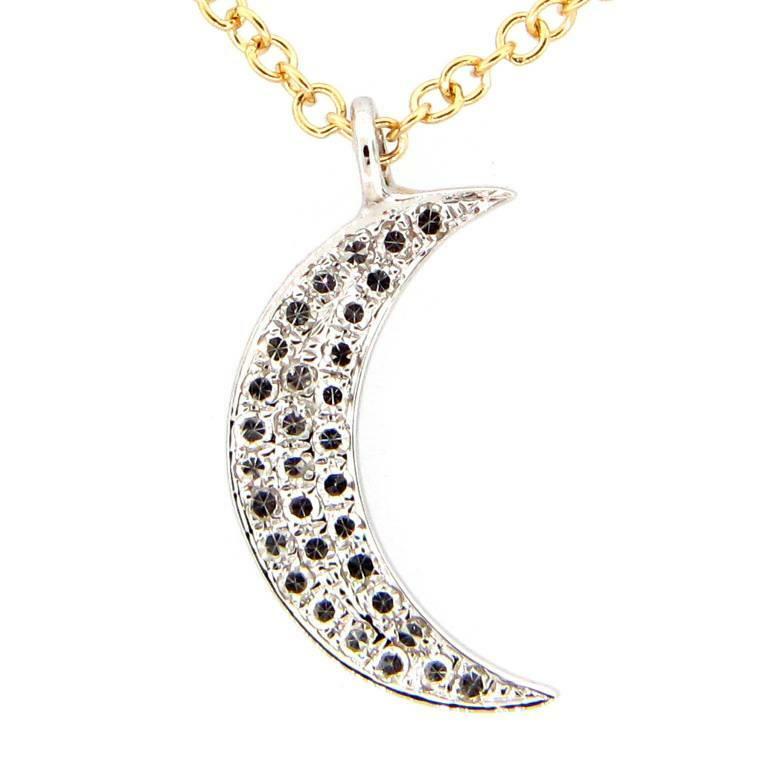 The half moon is set with round brilliant cut diamonds that are pave set. These diamonds have a combined weight of 0.08ct.